And these, quite simply are our favorite. Northcoast Audio is proud to display the Magnepan magneplanar 1.7, the magneplanar 3.7 speakers and the new Mini Maggie System. Made in White Bear Lake, Minnesota and dubbed "speaker of the decade" by The Absolute Sound magazine, the Magneplanars are arguably the finest speakers we've ever come across in any price range. And while you could spend hours reading all of the great reviews out there for these, it's simply much more fun to come check them out in person. Until then - Google "Magnepan 1.7", "Magnepan 3.7" or go to Magnepan's website and check out all of the great independent reviews for these remarkable loudspeakers. 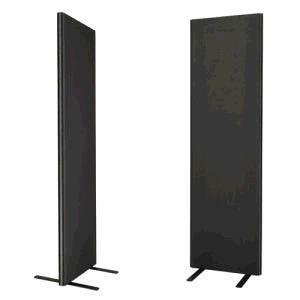 We currently demonstrate the Magnepan loudspeakers with amplification from Parasound, NAD Masters and Rega. We are also happy to special order any product from the Magnepan catalog. and a huge, huge fan of the maggies. Northcoast Audio is proud to be an authorized dealer for many of the best names in home audio speakers today, Including Danish made loudspeakers from Dali and Dynaudio, The famous KEF speakers from the UK, Velodyne Subwoofers, The world renown American Made Magnepan Magneplanar speakers as well as local favorites Polk Audio and Boston Acoustics. We do not sell out of our local area unless you have visited our showroom. Buy local - support your local independant audio specialist!